Nicola Cadwell is a business consultant specialising in CRM (Customer Relationship Management). With 20 years business experience, 6 years in finance and 14 years in IT, Nicola will bring a wealth of knowledge to your organisation. Nicola was born and educated in the UK. After finishing university in 1993 she spent 12 years working in London, the majority of that time was spent managing the finance team for The Jim Henson Company and working as a solution consultant and account manager for Microsoft UK. In 2006 Nicola relocated with her husband to Vancouver, Canada, where she currently resides. During her time in Vancouver she has worked for Bell Canada and Habañero Consulting. In 2009 Nicola took the opportunity to set herself up as an independent consultant, working from her home office in Downtown Vancouver. 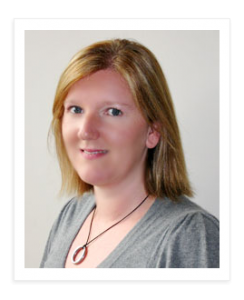 Nicola has a BA (Hons) in Business and Finance from the University of Huddersfield and is an Associate of the Chartered Institute of Management Accountants; having gained her professional qualification as a Management Accountant in 1999 (this is the equivalent of the Canadian CMA). Nicola has also gained the credential of Microsoft Dynamics CRM 4.0 and 2011 Solution Specialist. Please see Employers and Clients for further details of Nicola’s work experience.